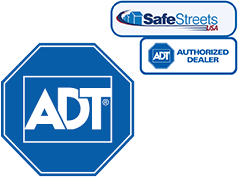 Most people decide on a home alarm system as a way to make sure that their property is more secure. It can definitely deter and identify burglars, as well as keep your home protected from fire and flooding, but home security systems can do much more than that. As home security systems get smarter, plans are able to offer more services. Even if you aren’t particularly concerned about the safety of your property, a home security system may still be in your best interest because many systems now offer home automation. How can home automation provide you with greater peace of mind? Keep reading below and we’ll tell you how! With so many responsibilities, it isn’t unreasonable to assume that there might be a time or two when you forget to lock the door behind you. With home automation, you never have to worry about whether you remembered to lock your door again. This is an especially effective feature if you live with a partner, children, or other family members. Once everyone has left for school and work in the morning, you can quickly check in with your smartphone to make sure that the door has been locked for the day. Not only can you make sure that your home is locked, you can also easily unlock the door if you or a child has forgotten their key. Even if the in-laws stop by earlier than you expected, you can unlock the door and let them in, even if you’re not home yet. If you or someone you love is home most of the time, you may have never seriously considered installing a home security system, but what about when you’re away on vacation? Burglars are tricky and are willing to spend time learning your family’s habits so they know the second you leave home. Programmable lights with home automation is a great way to fool burglars into thinking that you’re still at home. Program the lights to come on in the evening and turn off right before bedtime. Programmable lights have other benefits. You can make sure that the lights are all turned on in your home the second you open the door. They can even be programmed to turn on if your alarm is ever sounded to scare away the intruder. Keeping your home warm in the winter and cool in the summer is absolutely essential to ensuring you and your family are comfortable throughout the year. Unfortunately, heating and cooling a home can be expensive, so you should keep a close eye on your thermostat’s setting. If you forget to turn down the heat on your way to work, home automation will allow you to adjust your thermostat at any time. Programming and controlling your thermostat from your smartphone can save you up to 12% on your heating bills and 15% on your cooling bills! Two features of home automation that easily tie into your home security system include the ability to use a doorbell camera and two-way communication. You can literally keep track of every single person who shows up at your door throughout the day, even when you’re not there to answer it. Many of these cameras even have night vision, so you can keep track of everyone who goes in and out of your home 24 hours a day, which is a pretty handy feature, especially if you have teenagers at home. Because the video can be viewed remotely, you can see who’s at your door in real time, and with two-way communication, you can even ask that delivery man to leave your package at your back door! Some home security systems also offer indoor two-way communication with cameras that will help you keep an eye on what’s going on side your home while you’re gone. Keep teens from inviting friends over when you’re gone and make sure young children are doing their homework before they play video games. Even if you aren’t worried about the safety of your property, home automation can definitely bring you greater peace of mind. Many of the top home security system providers offer a variety of home automation options, so start shopping around today!